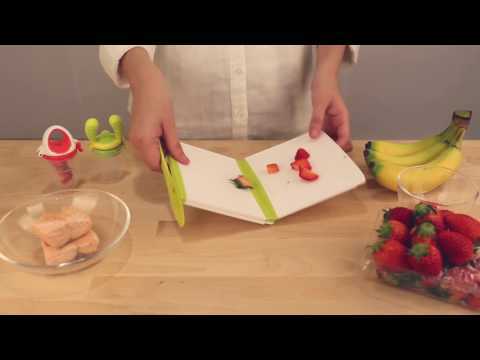 Our Foldable Cutting Board is unique folding hinges make it ideal for outdoor food preparation. Printed food icons indicate which foods to prepare on each board to prevent cross-contamination. There is a built-in knife made using antibacterial technology for your child safety, for easy food preparation and convenient filling of the kidsme Food Feeder.